Nintendo will release its first set of video game Amiibo toys on November 21 in the US, before rolling out them across Europe on November 28. A second wave will arrive in December. The detailed miniatures are fitted with near field communication (NFC) chips, which means players can use them to influence any Amiibo-supported video game on their Nintendo Wii U or Nintendo 3DS consoles. The concept is reminiscent of Disney Infinity and the Activision-owned Skylanders franchise. The toys and video games are sold in parallel, with each incentivizing the other. To expand the scope of the game, players are encouraged to buy additional figurines; likewise, you’re hardly using the miniatures to their full extent if you don’t own the game. 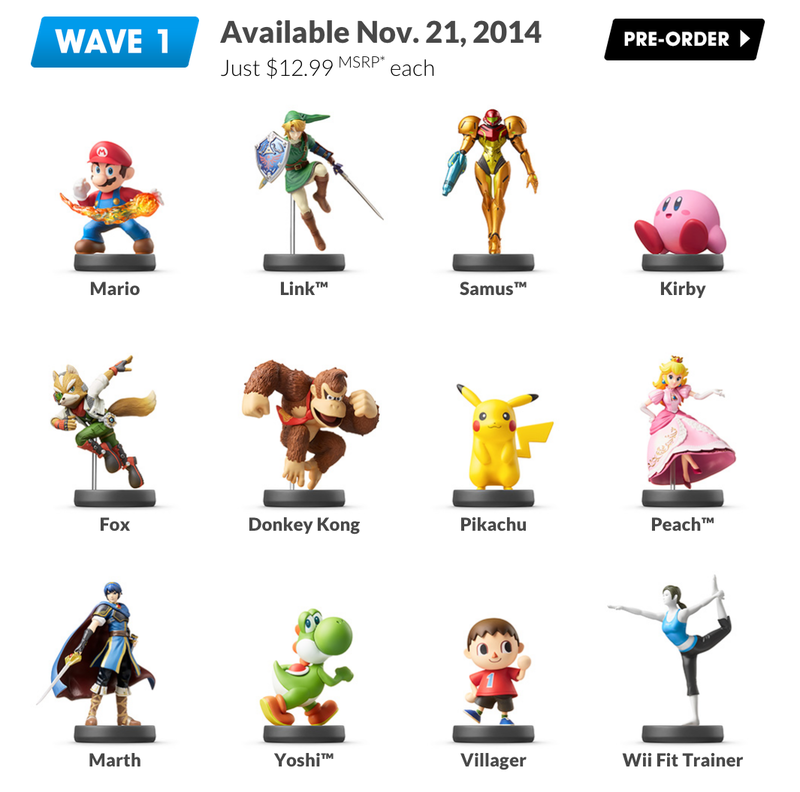 The first set includes a raft of classic characters such as Mario, Link and Kirby. They will be supported in the upcoming Super Smash Bros for Wii U game (also launching on November 21), as well as Martio Kart 8 and other unconfirmed titles. On the Wii U, players will import their Amiibos by placing them on the tablet controller, which is NFC-enabled. The “new” Nintendo 3DS and 3DS LL handhelds will also support NFC out of the box for importing Amiibos. A peripheral device for older Nintendo 3DS consoles will launch in 2015. Nintendo is in a difficult period. The Wii U is selling poorly and Nintendo’s slow drip-feed of exclusive titles, while high quality, have done little to change its fortunes. The 3DS continues to perform well, however, and the company is hoping its Amiibo platform can help to unify and strengthen both systems.